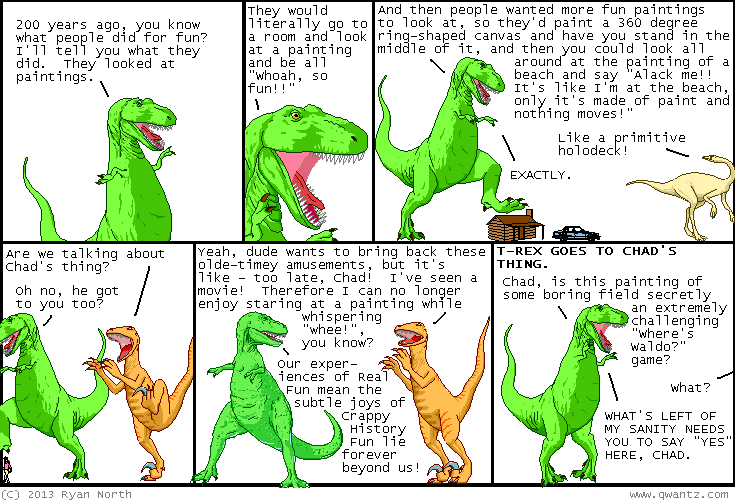 Dinosaur Comics - October 8th, 2013 - awesome fun times! –Some not so great things! !